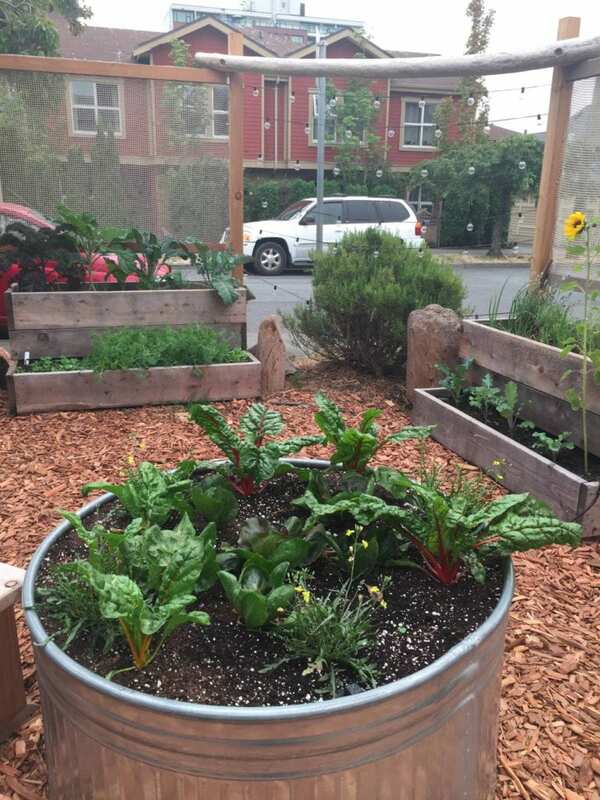 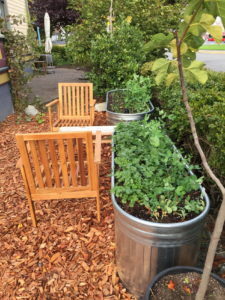 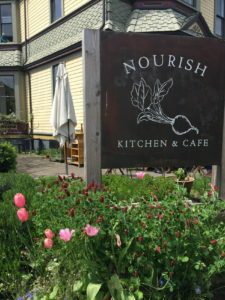 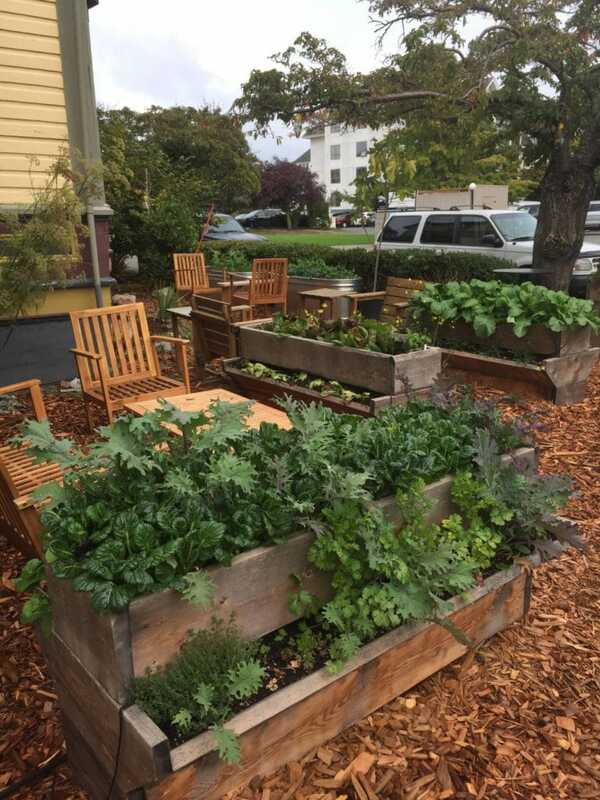 If you've been to Nourish restaurant lately you may have noticed a delicious addition to their backyard. 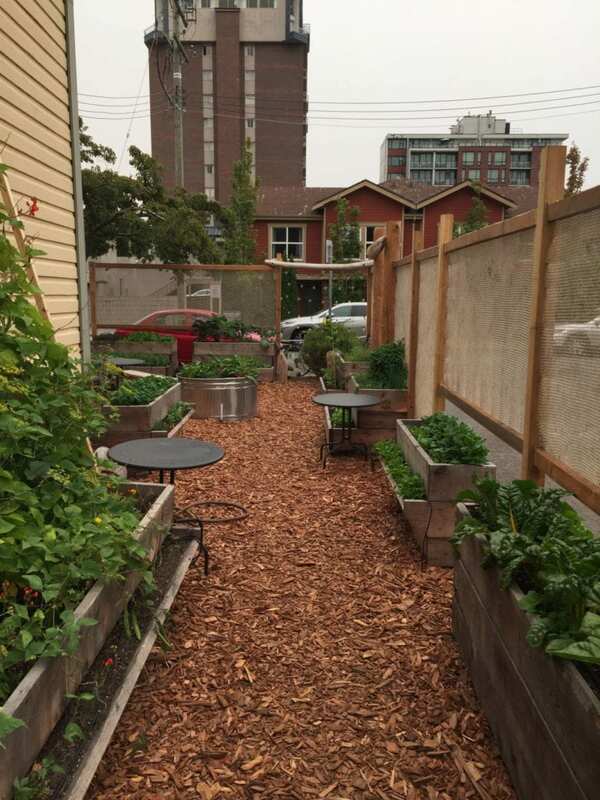 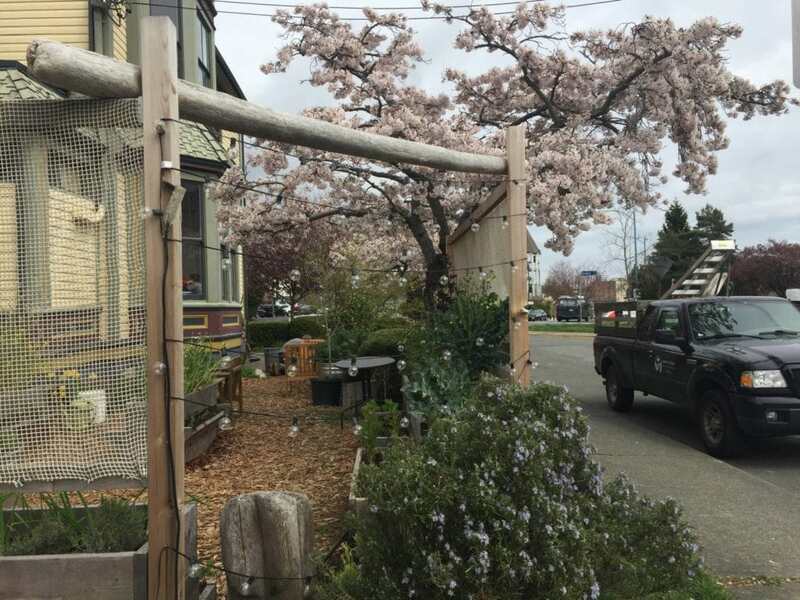 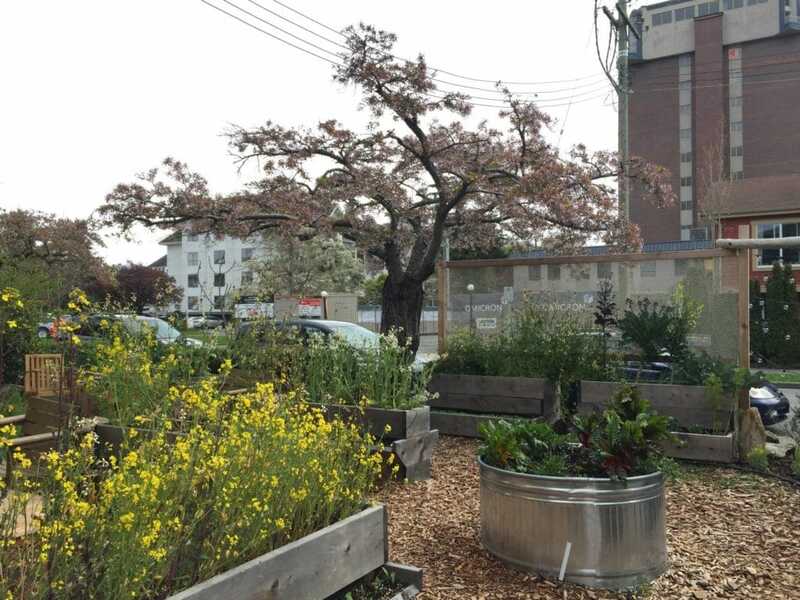 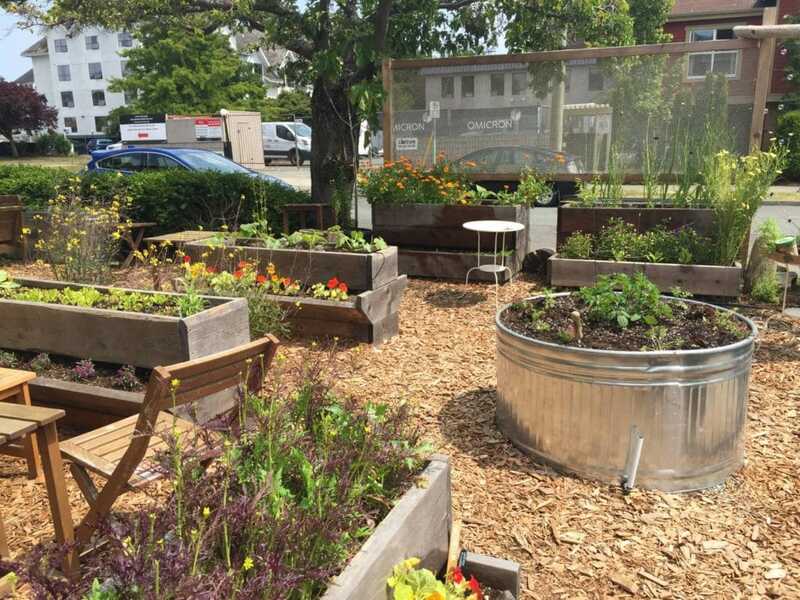 A secret garden has emerged and this once parking lot has been transformed into an edible oasis. 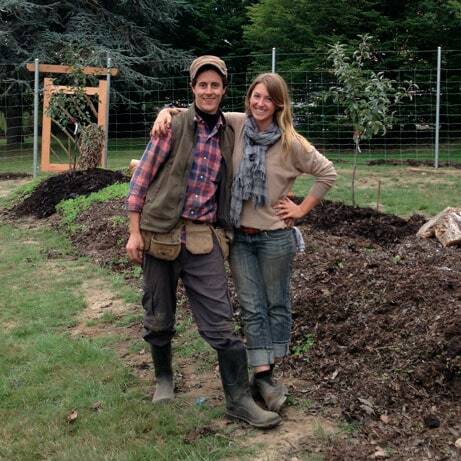 Over the past year, Hatchet & Seed has come onboard, working alongside Nourish to create a beautiful, productive, edible landscape. 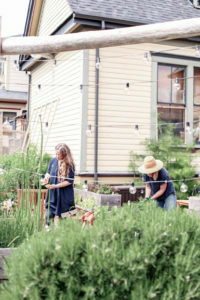 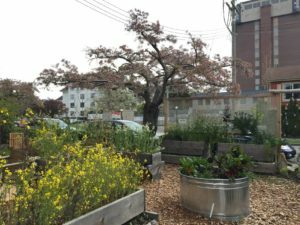 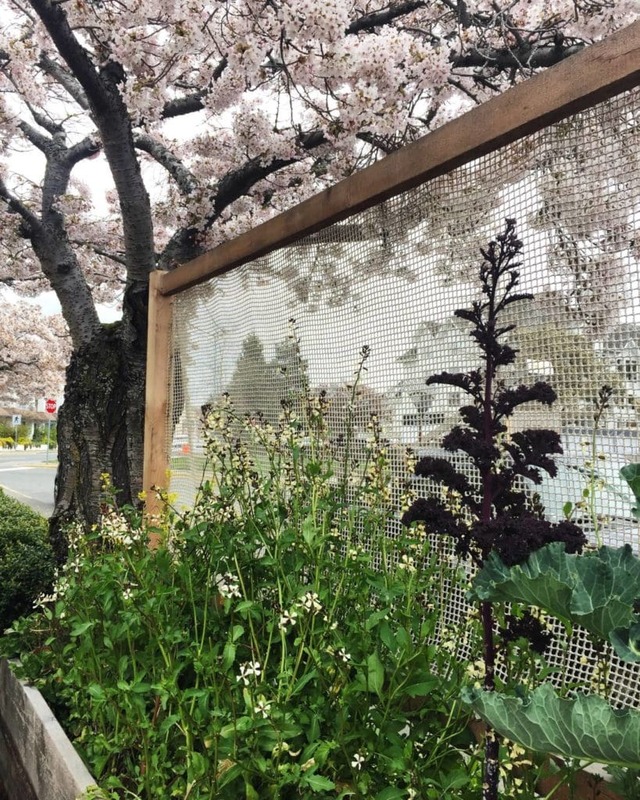 Although not without its challenges (the garden sits on top of asphalt and it is notoriously windy James Bay), it has been producing edible garnishes for the restaurant every month of the past year. 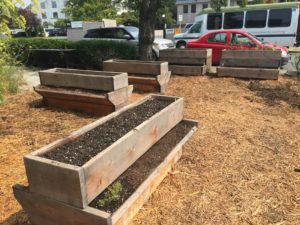 We've learned a lot about growing annual vegetables and edible flowers in raised beds in a public space and thought we'd share some tips to help others in their raised bed gardens. 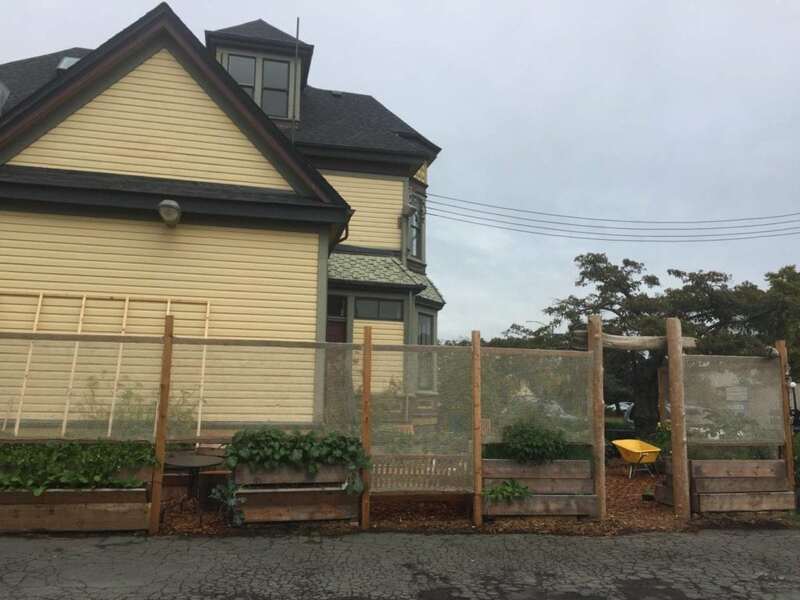 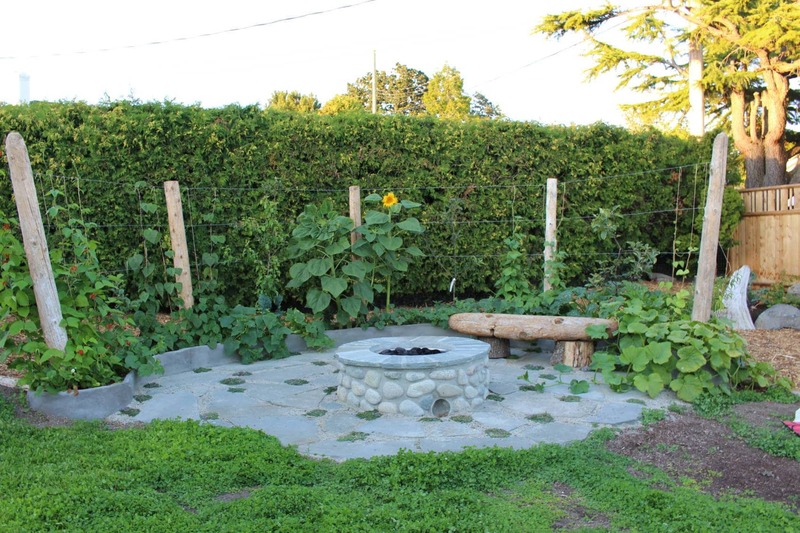 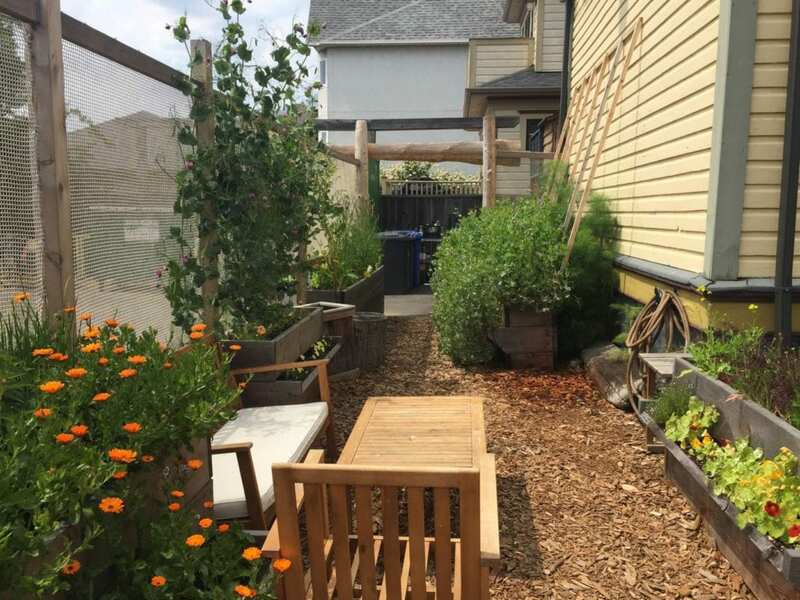 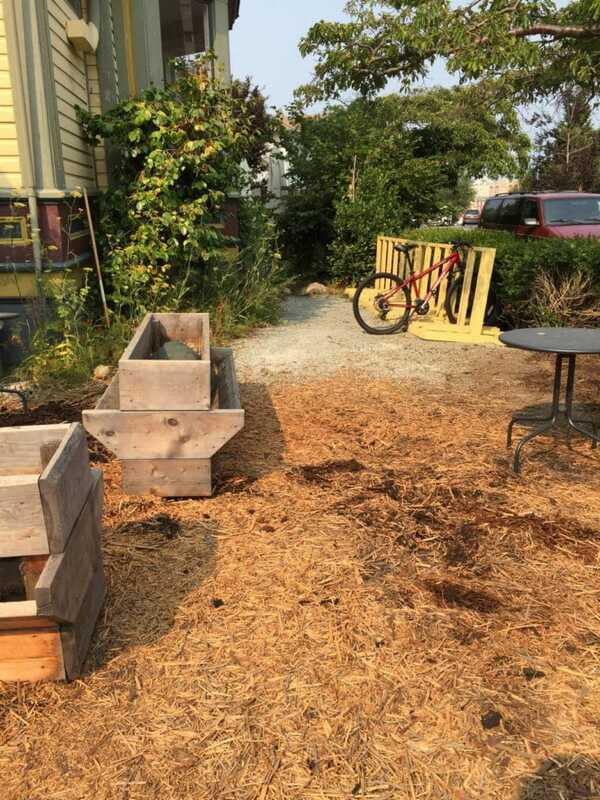 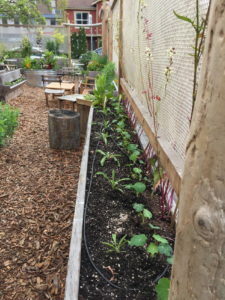 Our friend Bryce from Dreamweaver Collective built 10 wooden raised beds that form the main growing space of the garden. The metal horse troughs are wicking beds (self-watering containers) that we built as a way of cutting down on water requirements while increasing growing space. Both types of beds help us grow food on an impermeable surface. 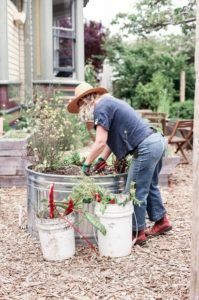 There are countless varieties of raised bed containers out there, from simple DIY totes to cedar boxes on wheels, but the main things to consider when growing in containers is fertility management, drainage, and soil volume. Where is the overflow water going, and do the plants have enough space to grow? 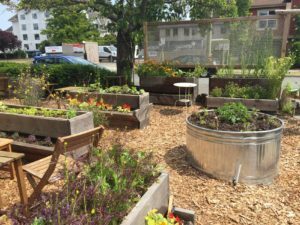 Is there enough organic matter, minerals, and nutrients to sustain the crops? Potting mix - we use a blend of peat moss, high nitrogen fish compost, perlite, and an organic 4-4-4 fertilizer to ensure that the raised beds are fertile and well drained. Over time, the beds can still become compacted from winter rains, and they may need loosening with a garden fork each time you transition the bed to a new crop. 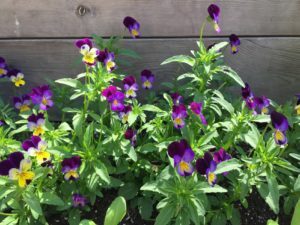 Some plants don't want a high nitrogen potting mix, and so it's important to know what nutrient requirements each species needs. Water: In our Victoria climate, an irrigation system is an essential part of a food garden as we rarely get summer rain (when the food garden is growing and needing water). 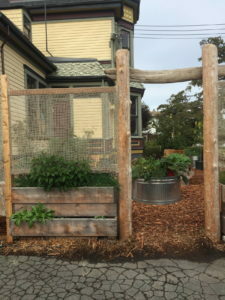 With raised bed growing, it is even more important to have some kind of water system as the beds shed water quickly and dry out faster than in-ground gardens. 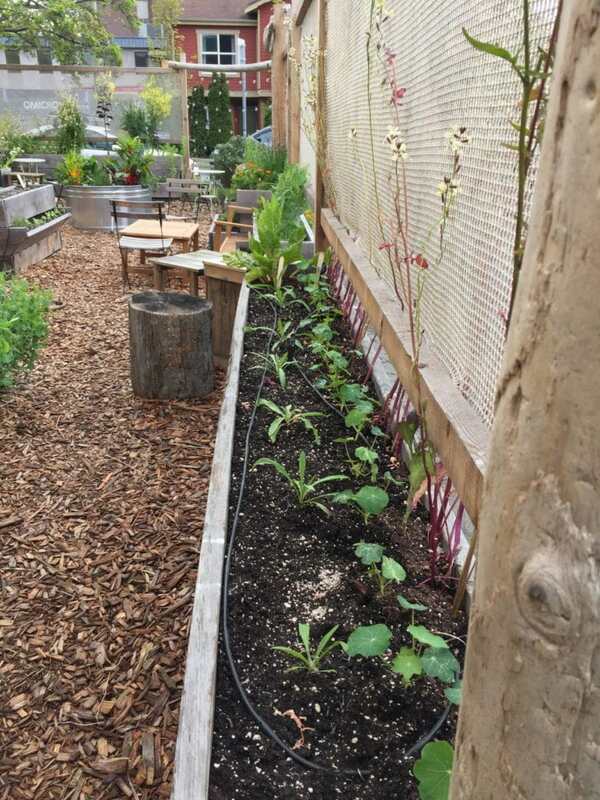 Here at Nourish, we use a simple drip irrigation system that waters the garden evenly for a few minutes every day. 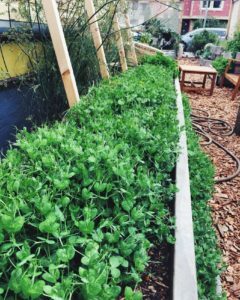 Cover crops: Over the winter months we had winter vegetable crops growing in most of the garden beds. 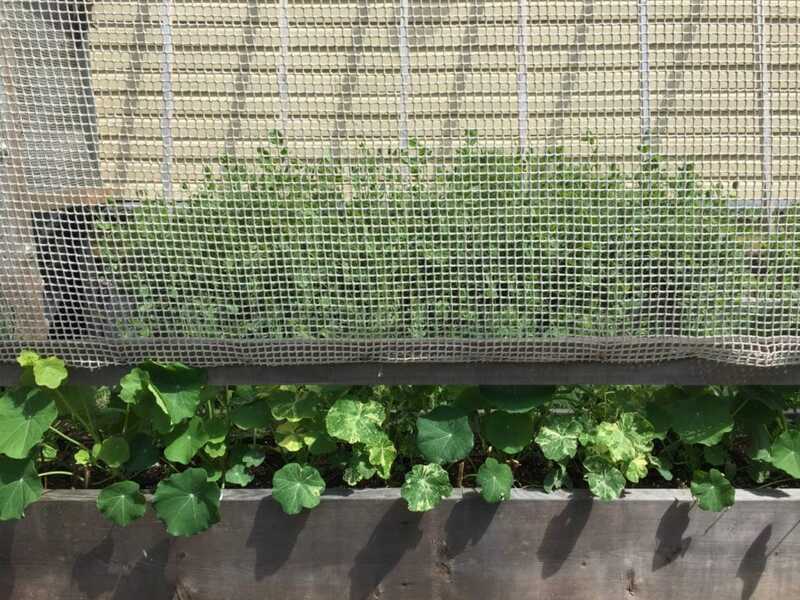 In one of the raised beds, we planted a winter pea cover crop, not only to protect the soil from winter rains but also to provide fresh pea shoots for many months. 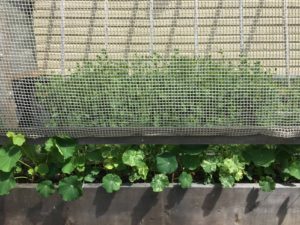 This worked incredibly well and we will definitely be growing more winter peas this year. We seeded them thickly in September and harvested them as a cut and come again crop for about 6 months! 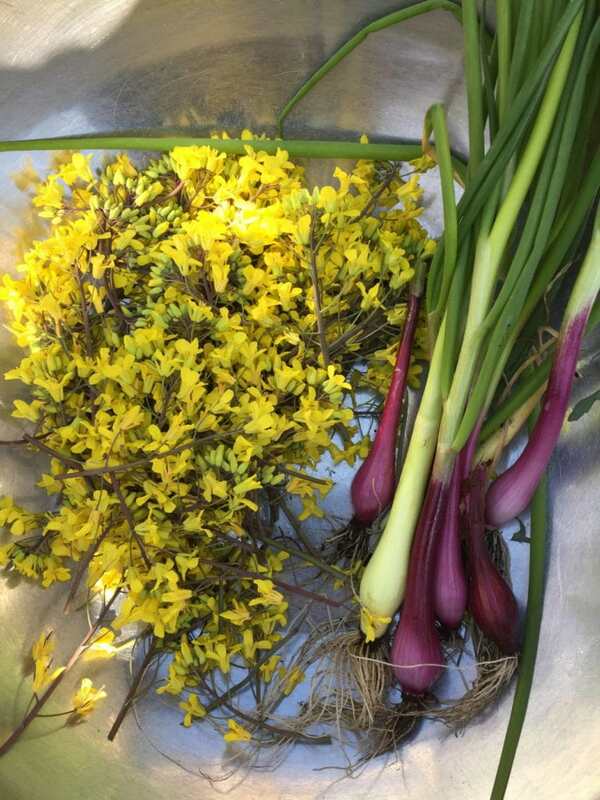 Edible flowers: There are so many edible flowers out there. Many vegetables, if left to go to flower/seed, have edible flowers as well. We've used flowers of tatsoi, arugula, radish, peas, and brassicas for the vegetables. 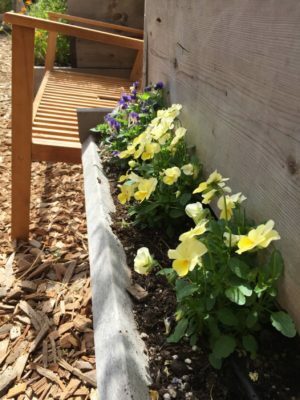 Plants we grow specifically for the flowers include calendula, violas, cornflower, nasturtiums, marigold and more. 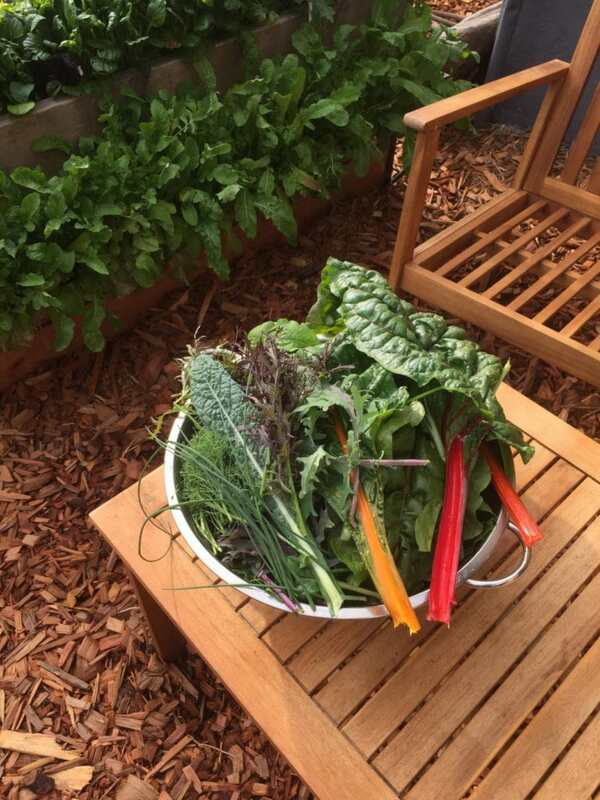 As with many other vegetables, the more you pick, the more they grow. 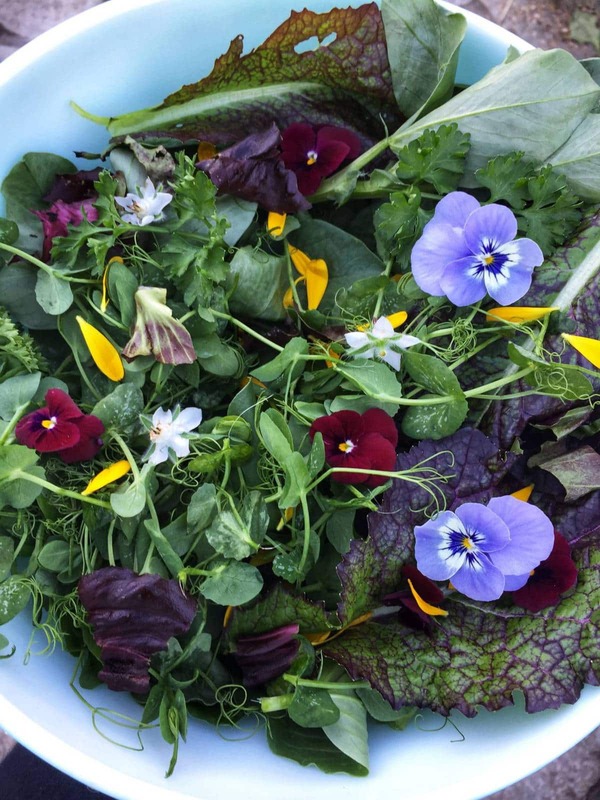 So keep eating your edible flowers and see them as their own class of food, not only as a beautiful addition to any meal. Violas were grown from seed, ensuring that they are spray free. 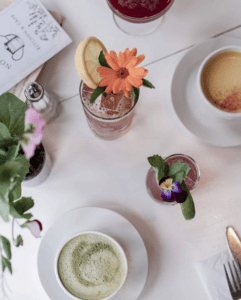 Edible flowers go beyond garnishes by adding complex flavours to meals and beverages. 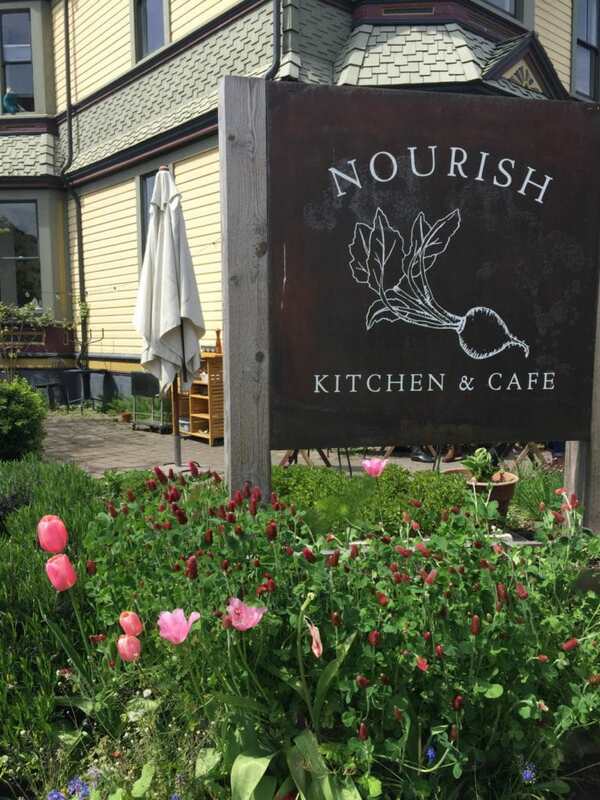 Nourish is a restaurant based on whole food and holistic nutrition philosophy; an edible landscape fits with their principles and vision. 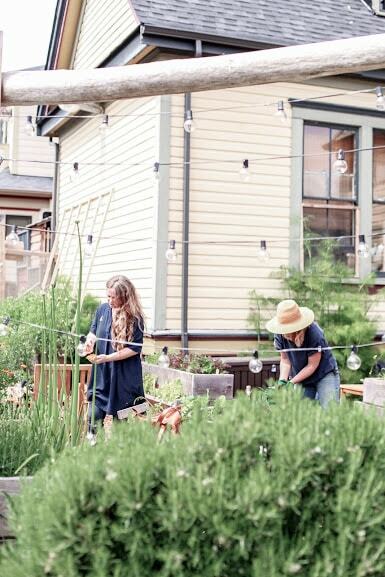 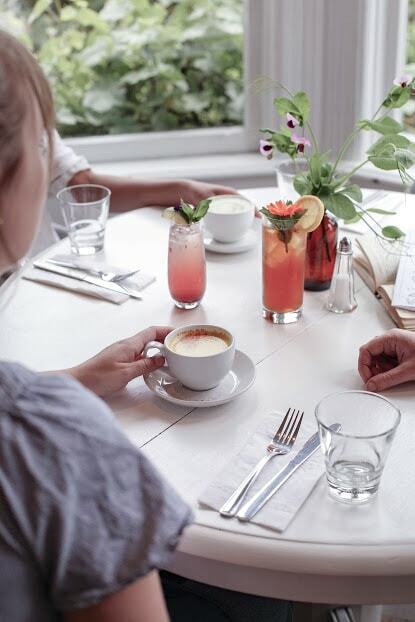 We encourage you to visit this wonderful place with people you love, to share food, and be in the garden! 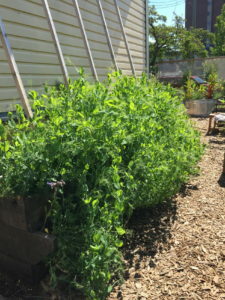 A gallery of images from the past year in the garden.